Located in Via delle Ruote in a 1700' Italian Palazzo with high ceiling, you can still admire the fresco's in the stairs. The district is lived by Florentine artisans, many caffè, pastries, restaurants, bakery, market and supermarket and stores as well. Aside this the major city sights as Galleria dell'Accademia where you find the Michelangelo's David statue, Duomo the Cathedral of Florence and so on! The furnitures were projected and designed by our friend Arch. Teresa Nocentini and were articrafted by a florentine artisan Sandro. 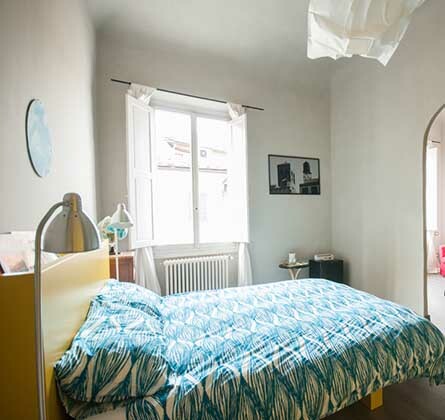 There's a relaxing 160 cm x 195 cm sized bed with a confortable mattress, bathroom with clean towels and organic soap, and an armchair from where you can admire the florentine roofs. There's a small fridge, a kettle with cups, some tea and infusion. Feel free to come with your little pet! Next door there's the most famous Vegetarian restaurant, three Tuscan restaurants and several others. Good choise of coffee bar nearby, a good pastry shop perfect for a Sunday brunch and a delicious bakery. We are glad to welcome you in English and French. 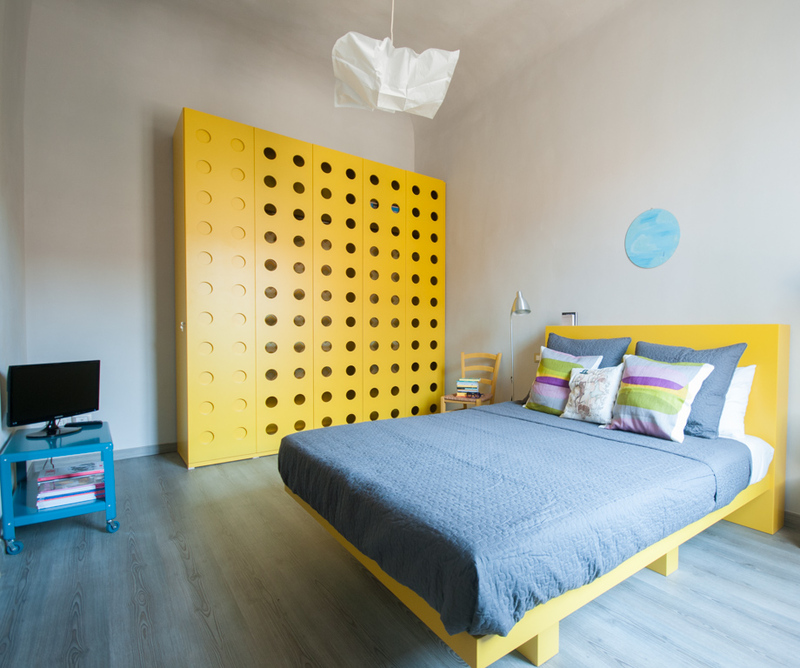 We started managing with passion this 30square meters Senape Bedroom, to let you discover our beautiful city!